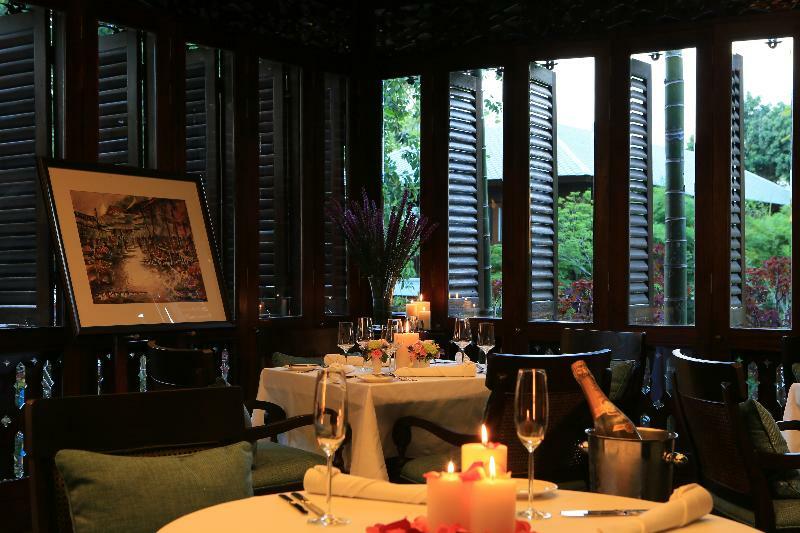 AWARD-WINNING 137 Pillars House Chiang Mai has opened an innovative new restaurant, called Palette, where guests can dine in an intimate setting as well as a display of engaging Nouveau Asian Art exhibits. Palette’s menu is light and “artistic”, offering a selection of cuisine with an array of color and flavors using locally sourced and organic produce. Most of the products are locally sourced and organic. The vegetables are purchased from the local Royal Project farms. High quality imported items are sourced globally, including foie gras, caviar, smoked salmon, lobster, lamb, grain-fed beef and scallops. The menu was created by Guest Chef Tammasak Chootong, owner of Suay Restaurant in Phuket, who has worked in world class restaurants and hotels both in Germany and Thailand as well as serving a year on the prestigious QE II Cruise Liner. Palette is located in the hotel’s original teak homestead which dates back to the 1800s. The restaurant seats up to 20 diners. An additional 16 diners can be accommodated in the wine cellar and private open air verandah. The restaurant can also be booked exclusively for private functions and special occasions. Palette is open daily for lunch and dinner. Exhibitions of Asian artists will also be featured regularly in Palette, starting with Worawuth Srakaeo, a student of renowned Thai Artist Ajarn Thanakorn. For information and reservations, log onto 137 Pillars House at 137pillarshouse.com or call 66 53 247 788.